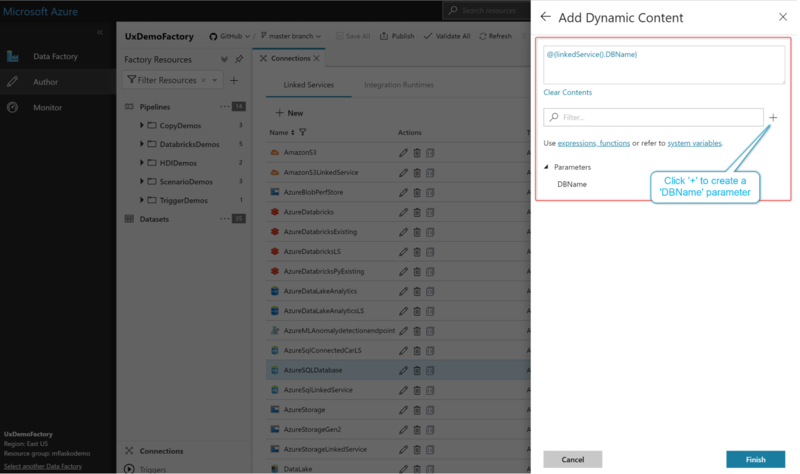 Azure Data Factory (ADF) enables you to do hybrid data movement from 70 plus data stores in a serverless fashion. Often users want to connect to multiple data stores of the same type. For example, you might want to connect to 10 different databases in your Azure SQL Server and the only difference between those 10 databases is the database name. 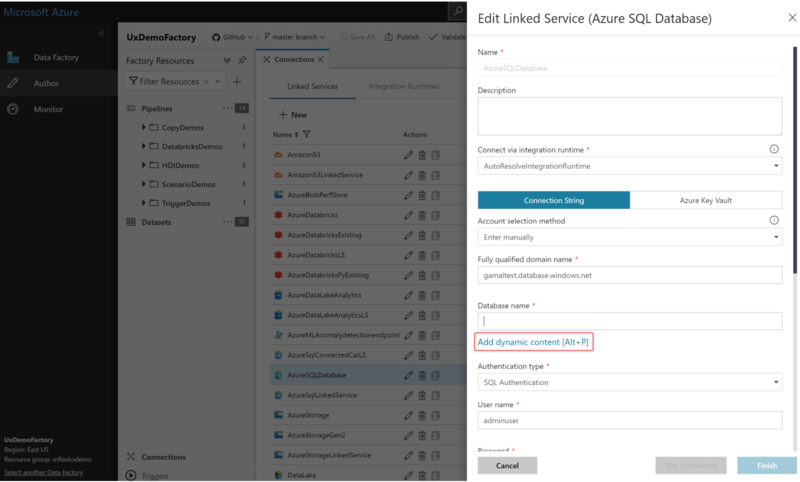 You can now parameterize the linked service in your Azure Data Factory. 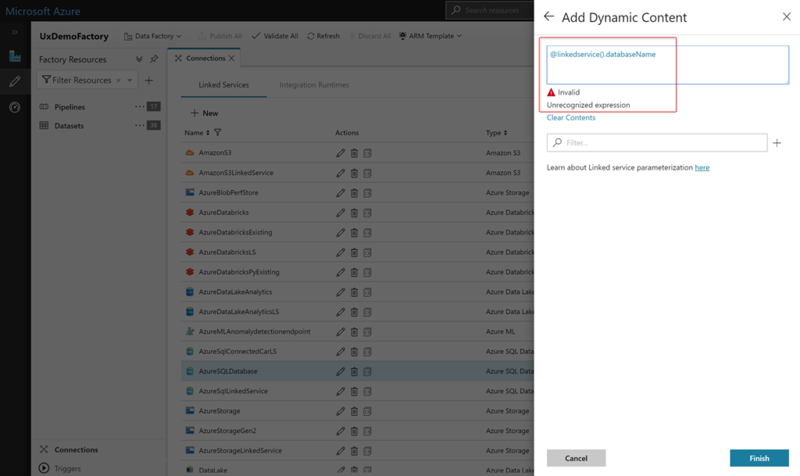 In this case, you can parameterize the database name in your ADF linked service instead of creating 10 separate linked services corresponding to the 10 Azure SQL databases. This reduces overhead and improves manageability for your data factories. You can then dynamically pass the database names at runtime. Simply create a new linked service and click Add Dynamic Content underneath the property that you want to parameterize in your linked service. You can also parameterize other properties of your linked service like server name, username, and more. We recommend not to parameterize passwords or secrets. Store all connection strings in Azure Key Vault instead, and parameterize the “Secret Name” instead. The user experience also guides you in case you type incorrect syntax to parameterize the linked service properties. Get more information and detailed steps on parameterizing ADF linked services.